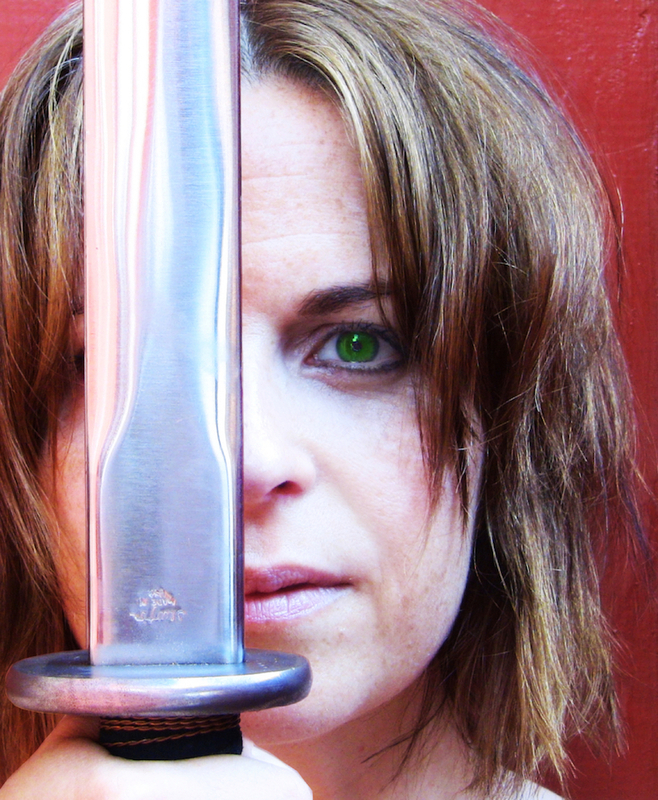 Kimberly Gilbert will play Joan la Pucelle in 2016 in Bootleg Shakespeare: Henry VI, Part 1. Photo by Marcus Kyd. 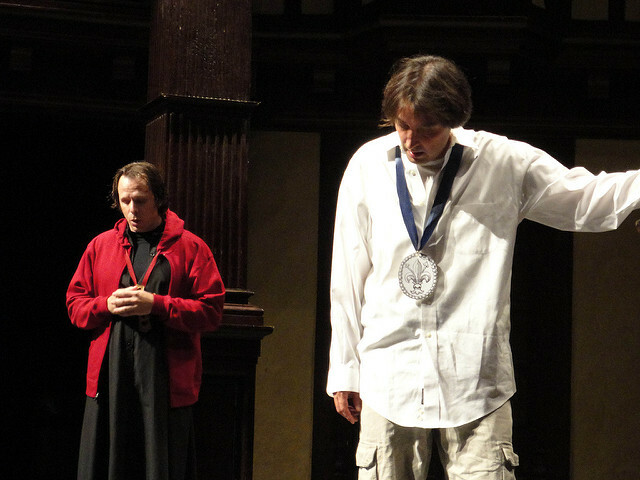 On Monday, July 18, the Taffety Punk Theatre Company will take over Folger Theatre to plan and perform a “bootleg” version of Henry VI, Part 1—in a single day. Actors and the rest of the team will come together in the morning, work through the choices in each scene, and then perform the entire play the same evening. 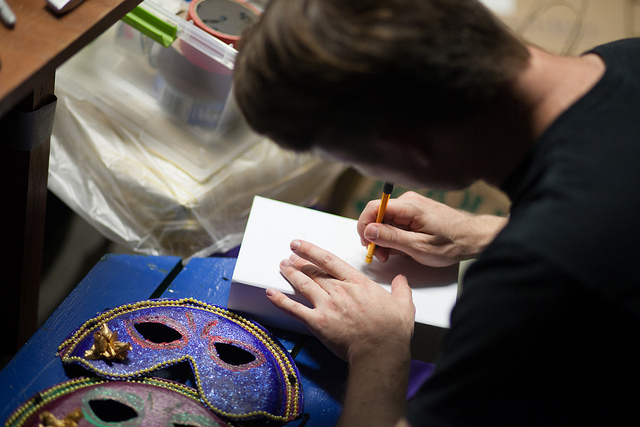 Inspired by his actor friend Ian Gould, who dared Kyd to stage such a one-day production, the company began its bootleg plays 10 years ago with Cymbeline. The choice of the play was inspired by the actor Emery Battis, a long-time favorite of Washington, DC, theater audiences. Then in his 90s, Battis was known to many of the Taffety Punk actors. “Battis was a tremendous guy,” says Kyd. As Gould pointed out, when it came to Shakespeare’s plays, Battis would proudly say, “I’ve done all but one,” meaning Cymbeline. In the end, Battis was not able to take part in the show, but it was still done in his honor. Bootleg Shakespeare: The Two Noble Kinsmen. Taffety Punk. At the Folger Theatre, Washington DC. 2010. Photo by Ellen Houseknecht. 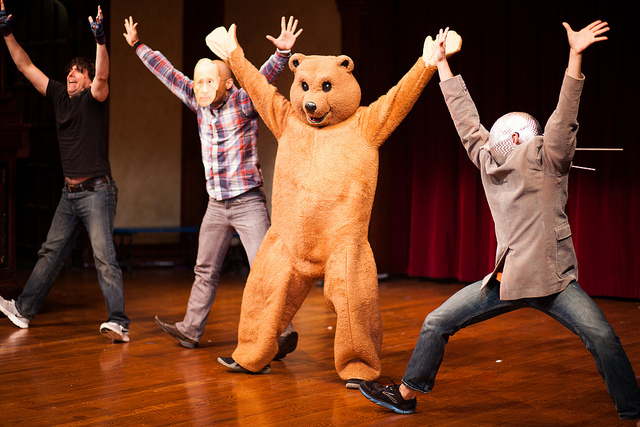 Taffety Punk Theatre Company. Bootleg Shakespeare: Love’s Labours Lost. August 5, 2013, at the Folger Theatre, Washington, DC. Directed by Lise Bruneau. Photo by Brittany Diliberto. Taffety Punk didn’t intend to start a yearly tradition, but the Cymbeline production has led to annual one-day shows. As with Cymbeline, the bootleg play is typically one that is very rarely performed. “Usually none of us have done it before,” says Kyd. Taffety Punk Theatre Company. Bootleg Shakespeare: King John. At the Folger Theatre, August 1, 2011. Directed by Company Member Lise Bruneau. Photo by Ellen Houseknecht. When asked if the challenges of one-day Shakespeare productions help actors and audiences connect in a different way, Kyd replies, “No, not in a different way, but in an ideal way.” He adds that “it’s built-in active listening” for actors, who listen intently both to catch their cues, and to move the story forward. The lines are spoken “with alacrity,” he says. The sense of walking a theatrical tightrope draws in the audience: “Will it work?” Amusing choices are made, such as lightsabers for a duel in The Two Noble Kinsmen. But, in the end, if all goes well, actors play the truth of the scene, taking the audience with them. At the heart of “nearly spontaneous Shakespeare,” says Kyd, you need a company of actors who trust each other. Taffety Punk Theatre Company. Bootleg Shakespeare: Pericles. At the Folger Theatre, Washington, DC. July 14, 2014. Directed by Lise Bruneau. Photo by Brittany Diliberto. Have you seen a “nearly spontaneous Shakespeare” production like this one, whether it’s Taffety Punk’s bootleg Shakespeare or another “Shakespeare-in-a-day” project? We’d love to know about your experience. Share your thoughts in the comments section below. 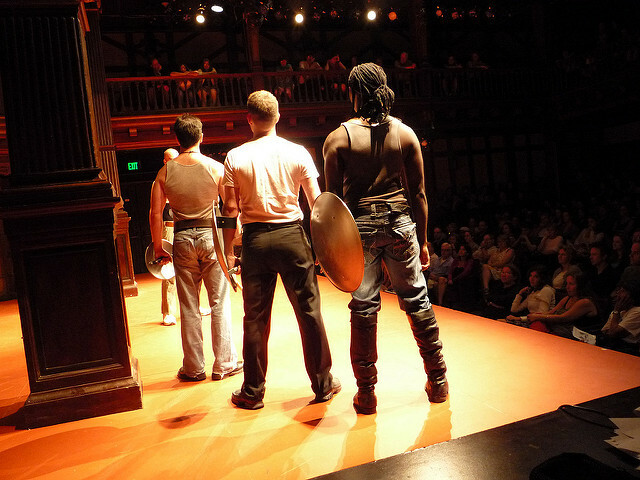 The american shakespeare center does short shift Shakespeare (and his contemporaries) annually in their actors’ renaissance season. They have discovered that it needs a team who blend well together, too. Seems like an area ripe for research and exploration. I love this concept! 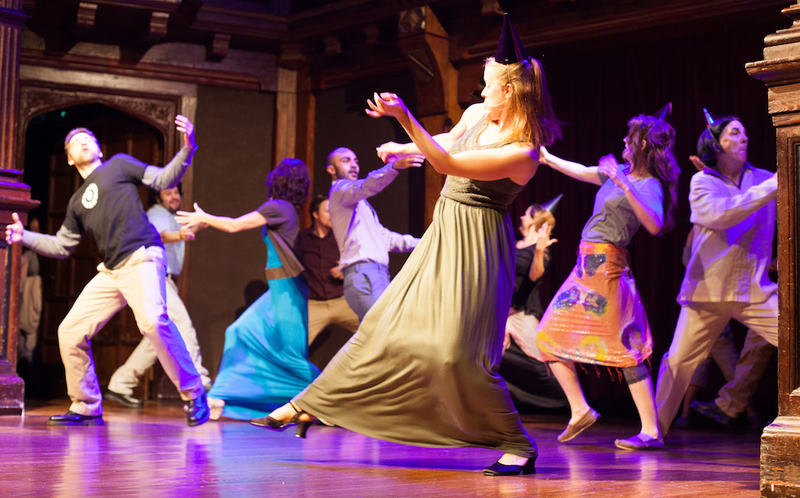 I’m based in Chicago, and we have lots of few day Shakespeare projects, particularly Backroom Shakespeare, which has become incredibly popular, and I can certainly see why. I think the biggest reason is that tension that you talked about of “will this work?” and the sense of play. This lends to a perspective by both the actors and the audience that the play is fresh, new, and spontaneous, which shakes off any cobwebs that we might have about the reverence of the plays. It gives everyone room to play, which is what it seems Shakespeare would have wanted.